I’ve always loved writing and used to write a lot as a child. I often had little stories and poems published in the letters page of comics or Uncle Len’s Chipper Club page in the Birmingham Evening Mail. The very first thing I can remember having published was a poem when I was ten or eleven, about my baby brother Peter. The very first book I wrote was about a ghost called Esmerelda. Esmerelda was annoyed when a family moved into her home, which had stood empty for years, so tried scare them away. The trouble was no matter what she did they weren’t scared. My kids loved it but publishers didn’t. I can see why now. An article for Jackie magazine titled ‘Beating the Dole Queue Blues’ back in the eighties. I was so chuffed to finally sell something after quite a few rejections. I wish now I’d photocopied the cheque (I think it was for £18) and framed it. Spurred by this success I wrote more articles and photo stories for Jackie, and romance stories for Loving, Patches and Blue Jeans. Then I moved on to writing for various children’s magazines such as Thomas the Tank Engine, Barbie, Sindy and Winnie the Pooh. The children’s magazine market was exploding at that time and I sometimes wrote regularly for as many as four different magazines a month. My first published books were three story cassette books based around Acorn Green, a children’s magazine I was writing for. I was very excited about this but there was a mix up and the three books were all published under the wrong name so it was a bit of a damp squib! I guess my first proper book was Christmas Fun, an activity book published by Scholastic. Amazingly, it was quite a good seller and I was asked to write other activity books for Scholastic. Writing for children’s magazines meant I had a regular income, which was great but it was a crazy life working to tight deadlines. I wrote all sorts of stuff; comic strips, stories, articles, pop features, quizzes – I even wrote a horoscope page and problem page. As the writer, everything started with me and I had to get my script to the office in plenty of time so the artists could get working. And this was the days before computers and email, at first anyway, so I had to get the scripts in the post. I had four young children at this time and often worked way past midnight when everyone else was sleeping, getting up again at six to meet the deadlines. 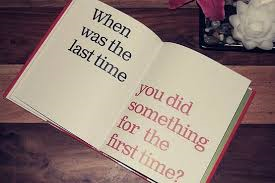 I look back now and don’t know how I did it. I guess in a way I’ve come full circle, because my first published stories were romance stories and now I mainly write YA and romance novels. Of course there’s a lot of difference between a short story for a teen mag and a romance novel. I still write children’s books too. 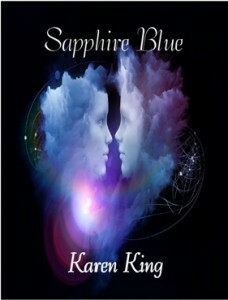 My YA Sapphire Blue, an afterlife romance adventure, was published last year and I’m planning a sequel. The two main characters, Will and Sapphire, tragically die in the first chapter and are separated in the afterlife. They love each other so much they’ll do anything to find each other, including going to Red, where they encounter a lot of danger and have to deal with some creatures called Soul Catchers. I don’t want to give too much away but I’ve yet to meet anyone who’s read it without crying. My first book for Accent Press is due out in May this year. It’s titled I Do? …or Do I? 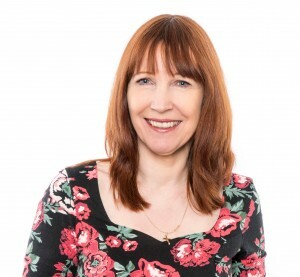 and is about a local journalist, Cassie, who is about to marry safe, reliable hot shot lawyer, Timothy but her ‘Monster in Law’ Sylvia is determined to make it the ‘wedding of the year’. When Sylvia books the exclusive ID images to take photographs of the extravagant wedding, Cassie has no idea what she’s walking into. The elusive JM who is the newest photographer employed just so happens to be Jared, Cassie’s first love and ex-fiancé, who broke off their engagement to follow his life-long dreams. So it’s very much a case of ‘will she or won’t she?’ I’ve very excited about it. I’ve been contracted to write two more books for Accent. I’ve just delivered book 2 and am now planning book 3. I’m also working on a YA and a children’s series. I like to have a lot of things on the go. I Do?… or Do I? As I have already mentioned, I heard about Karen King totally by chance, and I am so glad. 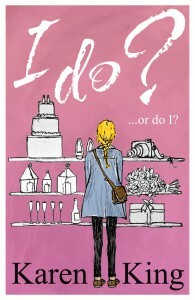 I loved I Do? … Or Do I? I can definitely recommend it.